In the 2016 Olympics in Rio de Janeiro, Brazil, American gymnast Simone Biles earned a gold medal in the all-around, the vault, and the floor competition as well as a bronze medal for her performance on the balance beam. And I firmly believe that the key to her phenomenal success was her grandparents. And redemptive grandparenting happens all the time, though usually not in the spotlight. 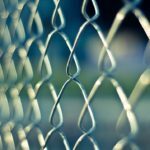 A young man named Mike, for example, seemed destined for incarceration, like his father. His father and his disconnected mother had little impact in his life, but Mike’s grandfather brought him home, watched over him, and ultimately provided him with a heritage and a house that would serve as a foundation for Mike’s own family years later. Mike reports that the grandfatherly love he received was the key to his success. 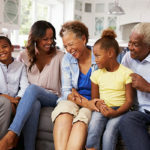 Grandparents also come alongside their grandchildren in less dramatic ways, offering love, support, prayers, and encouragement that supplement what Mom and Dad give. 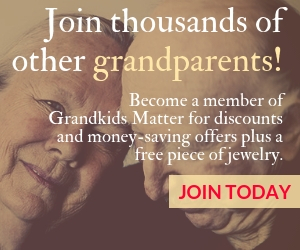 Truly, grandparents matter—because grandkids matter! Families can be strengthened and restored when grandparents step up and offer their wisdom, experience, and unconditional love. Children can be healed, nurtured, and redirected by involved grandparents. That’s grandparenting power, and our goal is to awaken, motivate, and equip grandparents to help them experience the richness of their role in their grandchildren’s lives. Observant and thoughtful grandparents know that today’s families face immense challenges, and many are struggling. Over the past 50 years, the fragmentation of the traditional family has prompted an avalanche of negative social consequences, particularly for children. This fallout is most prominent and most painful in urban America. The rise in violence, the increase of addictive behaviors, the proliferation of unhealthy lifestyles, the lack of commitment in relationships and marriage, and the absence of fathers from the home are some of the most distressing trends. Leaders in every sector of our society are looking for ways to reverse this decline, and, unfortunately, there are no easy and quick solutions. Yet I believe that renewal can happen as we learn to tap into and leverage an underused resource within the family system. This untapped resource has the potential to generate a long-overdue awakening and provide deep benefits to families. Of course, I’m talking about grandparents. 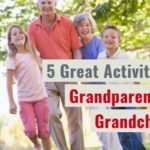 As I began working and interacting with grandparents, I very quickly recognized that grandmothers are the most active, engaged, and focused people I know when it comes to their grandkids. I call them lionesses. I do know quite a few dedicated and involved granddads, and some are working, as I am, to help awaken grandfathers to their high calling. Regrettably, the influence of all grandparents has been understated and even overlooked for too long. 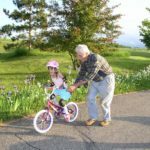 Recent research demonstrates that children thrive when grandmothers and grandfathers are proactively involved in their lives. And wouldn’t you know it, grandparents also thrive when they are actively involved in their grandchildren’s lives. It’s a win-win! We must revive the role of grandparenting, and not only the iconic praying grandmother, but the “never, never, never give up” grandparents who understand the impact they can have on the well-being of their grandchildren and great-grandchildren. It’s time for these lionesses (and lions) to roar. Grandma Betty has become a lifeline to her grandson. He’s currently stuck in a self-absorbed lifestyle of drug use, aberrant behavior, self-indulgence, and an overall unhealthy quality of life. But even in that compromised state, when he was asked about his grandmother, he said, “She’s my cheerleader and hero.” There is hope that this young man will turn his life around, and his grandmother’s relentless, persevering, irresistible love will be a big factor. Yes, she is roaring. When Suzanne discovered her grandchildren were in danger due to the negligence of their misguided parents, she didn’t hesitate to get involved. She opened the doors of her home and her heart, and her grandchildren moved in. 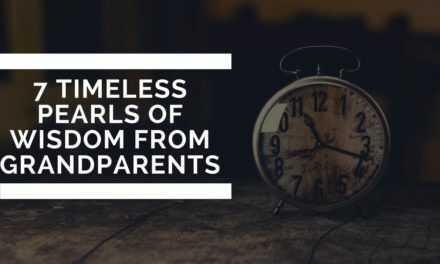 The original plan was that they would stay with her a year or two until her daughter could stabilize her life, but reality didn’t unfold that way. So, Suzanne raised her grandchildren for more than a decade. How many grandparents do you know who are raising—or are substantially involved in raising—their grandchildren? This is one of the fastest growing family demographic categories today. (More on this below.) And while the number of custodial grandparents is rapidly growing, in many situations respect and honor for grandparents is diminishing. The impact of grandparents is often minimized and their role reduced by factors such as geographic distance, divorce, lack of knowledge or understanding of their family history, and the culture’s failure to affirm their value in the family. What’s also interesting is that, although grandparents know intuitively that they have a contribution to make, many today have little personal experience with their own grandparents, experience that could help them be more effective grandmas and grandpas. Over 1.6 million adults become new grandparents each year, a pace that will bring the total number of North American grandparents to over 84 million by 2020. If you include the number of seniors who do not have natural children but who are grandparent figures for nieces, nephews, and other family members—as well as for neighbors and young people in their churches or communities—both numbers are significantly larger. Most people achieve grandparent status when they are in their fifties. However, 37% of North American adults became grandparents in their forties, with the average age of a new grandparent being 47. (That lower age is due in large part to family demographics in minority and urban communities.) Currently, 60% of baby boomers are grandparents. Recent survey research notes that 54% of people who are grandparents live within 25 miles of their grandchildren, and the remaining 46% wish they lived closer. 72% of grandparents believe that being a grandparent is the single most important role at this point in their lives, and they are quick to say that this role provides them the greatest relational satisfaction. 65% of involved grandparents say they are better grandparents than they were parents. 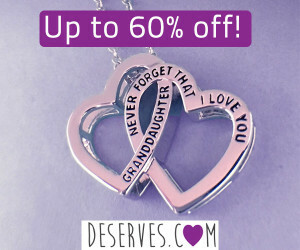 70% believe that being an involved grandparent brings them closer to their adult children. Never before have so many grandparents in North America been tasked with being parents again. As mentioned above, one of the fastest-growing family demographics is grandparents becoming the custodial or functional parents of their grandchildren—and caring for grandchildren every day is a challenging task! In North America, over 8 million children under the age of 18 live with and are cared for primarily by their grandparents. This is a bold expression of faith, hope, and love. Grandparents spend over $60 billion every year on their grandkids, including $32 billion on education-related support. This lavish spending isn’t all about spoiling those beloved grandchildren; these grandparents rightly view many of these monetary gifts as investments in the child’s future. 62% of today’s grandparents have provided financial support to their adult children and grandchildren in the last twelve months, covering everything from the mortgage, education, daycare, and health care to the basic day-to-day expenses. Grandparents support charities as well. In the US, 45% of the giving to nonprofit organizations comes from grandparents. They also account for 42% of all consumer spending on gifts. These numbers aren’t surprising considering the estimate that grandparents in North America control 68% of the accumulated wealth. Today’s longer life expectancy means people spend more time as a grandparent. Imagine living in 1900, when the average life span was 47 years! Today you may live one-third of your life as a grandparent and as much as 15% of your life as a great-grandparent. Let me reassure you that, as you probably know very well, the gift of grandchildren will bring rich experiences and life-giving joy for both generations. Many mature adults say there’s nothing as exhilarating as being part of their grandchildren’s lives. When the old and young generations unite, both benefit and thrive. Grandkids matter to us—big time. When you observe grandmothers and grandfathers interacting with their grandchildren—listening, learning, and growing in love and respect for one another—you can sense the power of this generational synergy. A caring grandmother will perceive things that re-energize her deep-seated mothering intuition and quickly become catalysts for family renewal. This grandmotherly glow parallels a similar occurrence in the minds and hearts of grandfathers. Not only do grandfathers mellow with age, but they also ponder their legacy and how they will pass on life-giving values to future generations. Our grandkids matter, and we want to do our very best for them. During this time of life when so many people tend to think that their best years are in the past, grandkids can change everything. Our thoughts, feelings and actions are renewed because the gift of grandchildren prompt us to see the meaning and purpose of life in new ways. We understand clearly that grandkids matter; they provide our days with an added purpose and a sense of mission—we’re determined to invest in their future and leave a proud legacy for them and generations to come. Your grandparenting story is unique in many ways. 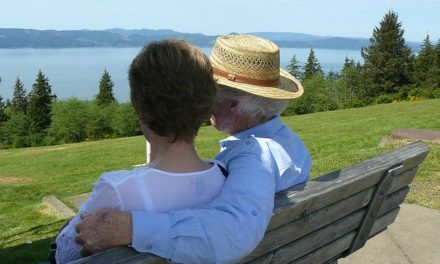 Maybe you’re basking in the joy of relating to your grandkids and everything is great, or you may be struggling because of relationship issues or distance from your grandkids or some other concern. Or some combination of the joy and sorrow. But we all share the conviction that grandkids matter, and we want to do our best for them. 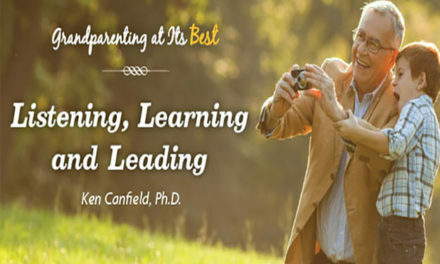 Whatever grandparenting opportunities might be before us, our ability to be intentional, tune in, and connect on a heart level with our children and grandchildren will determine our impact on their lives. Yes, grandkids matter. And together, as an army of loving grandparents, we can have a tremendous impact on the future of our nation’s families.